Primary School Children . . . Believing in yourself starts early. 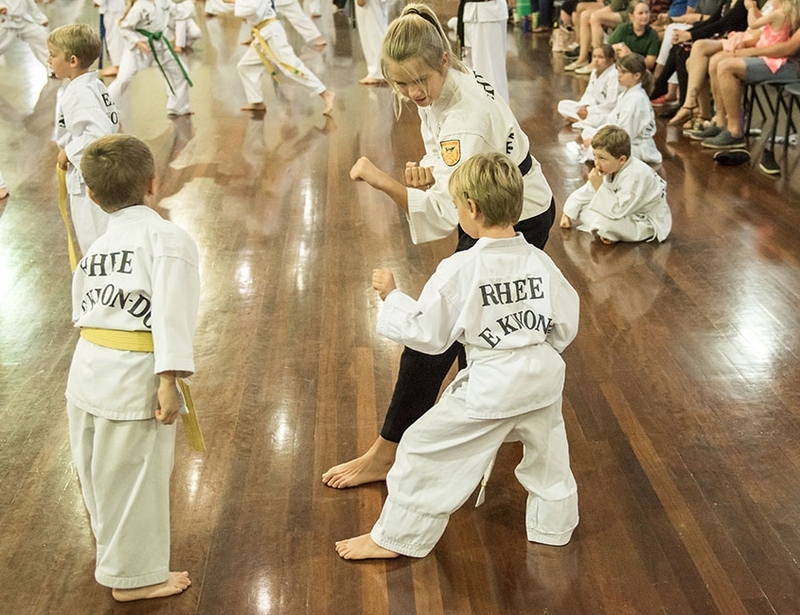 That’s why thousands of parents throughout Australia have turned to Rhee Taekwondo to give their child the head start they need to prepare them for whatever life throws their way. 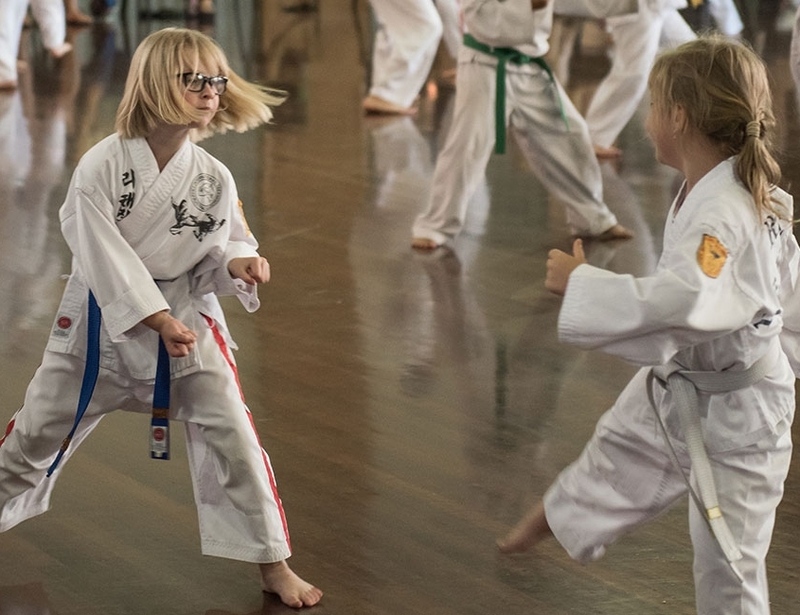 In all of our classes safety is a priority and classes are designed to be fun, inspirational and informative to really get the best out of your child. 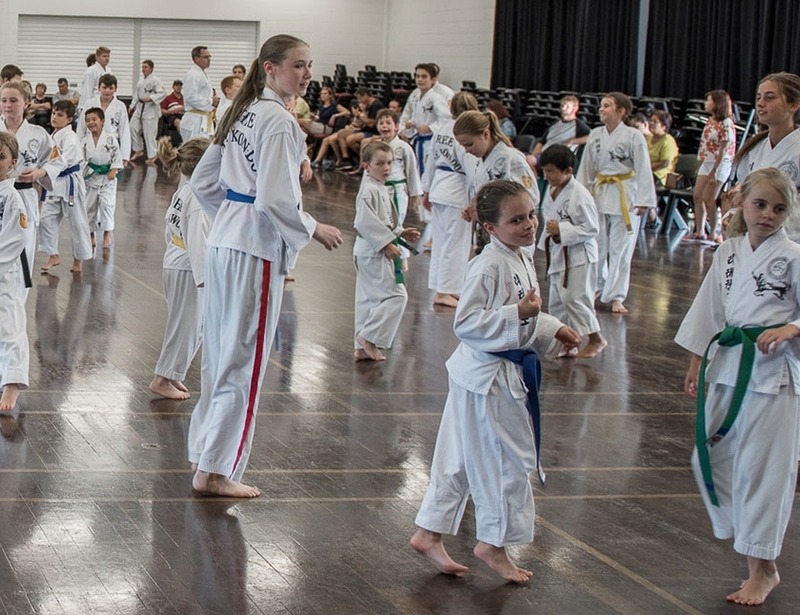 We often use games to help stimulate learning and use modern instructing methods to keep the classes positive as we aim to improve students’ quality of life. 100% Bully Proof . . . We have set a goal to aim to make each and every one of our students Bully Proof. 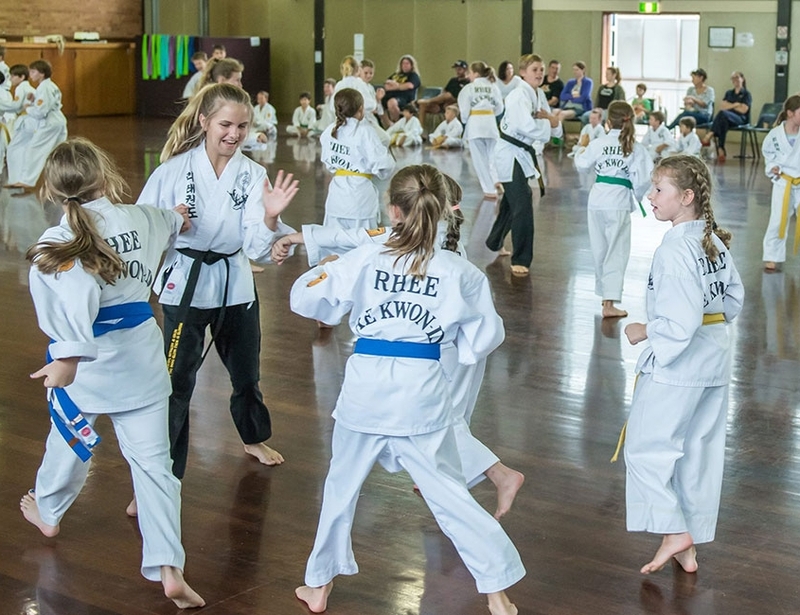 The Bully Proof program is run during classes and involves a short talk to the students how they can deal with various kinds of bullying without having to ever resort to violence. 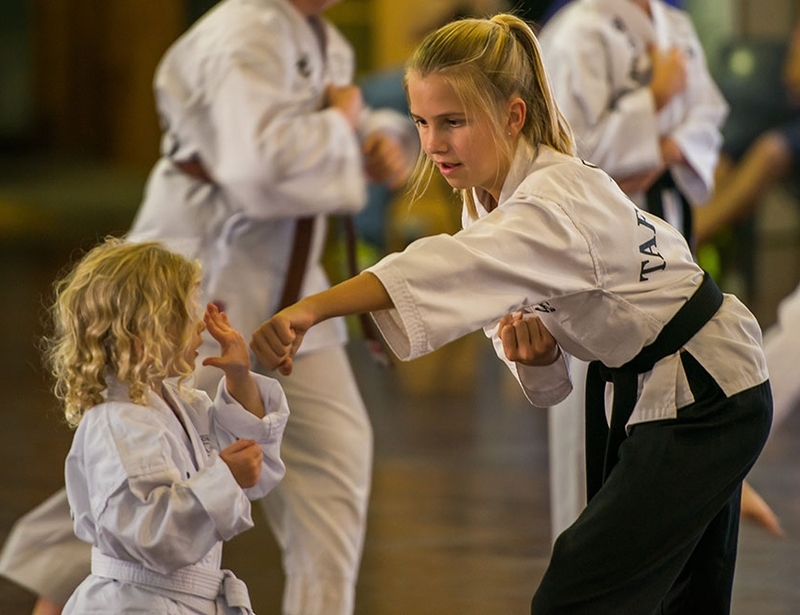 As well as bully proofing other topics covered on a regular basis are: Concentration, Controlling Yourself, Thinking before you Act, Respect, Manners, Courtesy and Perseverance. 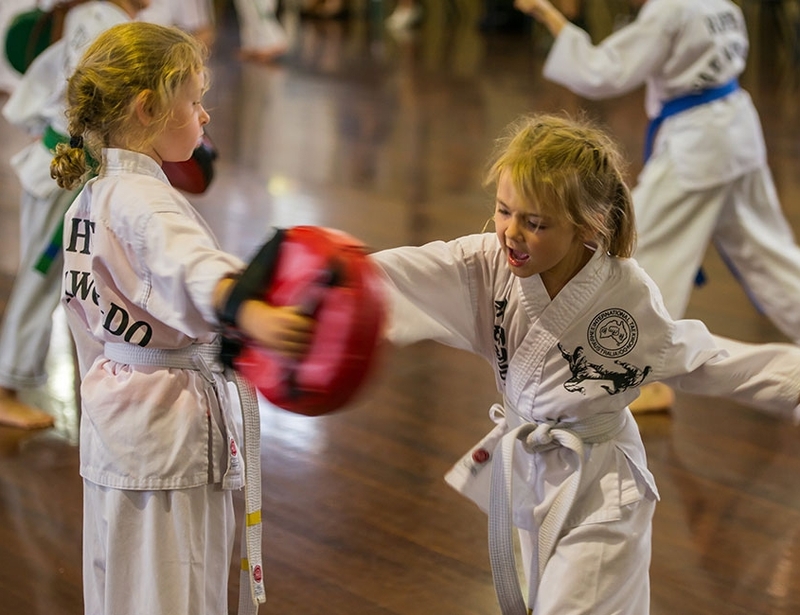 For these reasons and more we are convinced that we’re the BEST after school activity in Bundaberg! 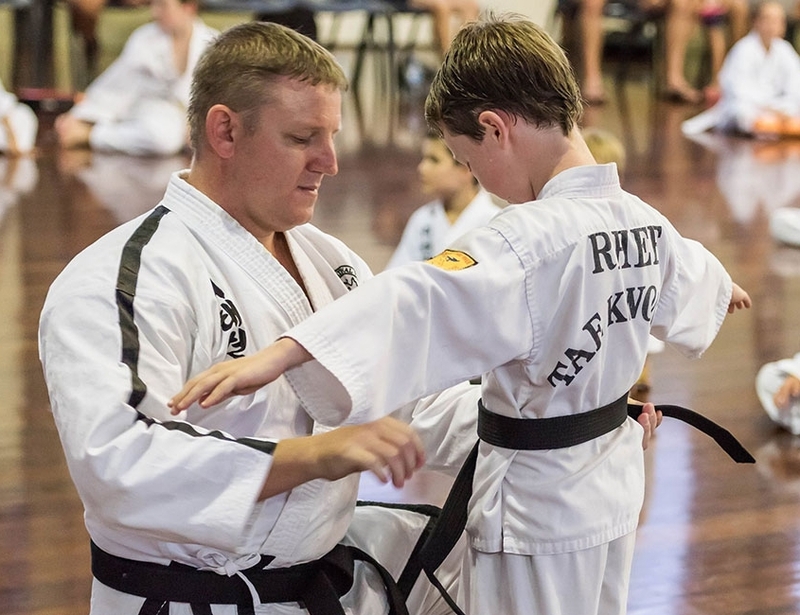 All Rhee Taekwondo Bundaberg Family and Children’s class Instructors are work with children blue card qualified. 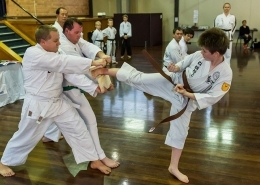 Students must be 5 years and older to apply for family classes. Have a child younger than 5 years? 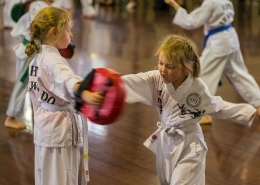 Check out our Juniors classes!